The PCI 100 has set a new benchmark in secure encryption technology. 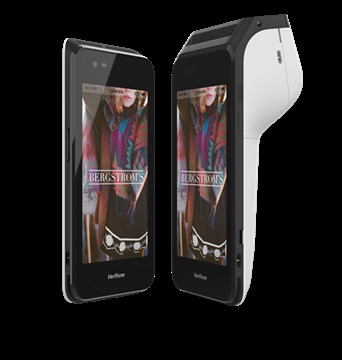 Its sleek design includes an optional privacy shield for confidential PIN entry and a high-contrast backlit screen with a 4-line deep and 16-character wide display capacity. PCI PED Level 2 certified and available in both RS232 and USB configurations, the versatile PCI 100 can seamlessly support an array of encryption functions, including TRNG, DES, TRIPLE DES, AES, RSA, MK/SK, DUKPT, and Triple DES DUKPT. Castles Technology’s newly designed VEGA3000P device offers multifunctional capabilities for your business. 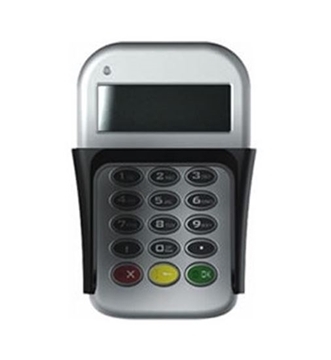 VEGA 3000P offers options of Ethernet, RS232and USB communications and also accepts all payment types – magnetic stripe, contact and contactless. 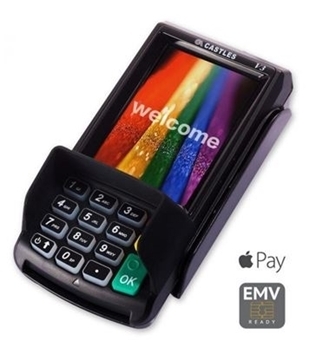 It has an incredible 32 bit microprocessor and ensures secured transactions. VEGA3000P is a perfect device to enhance your payment system. Our newest addition lets merchants modernize their check-out experience - go ahead, let your customers pay where and when they want. The world’s first smart terminal has created a standard for an impeccable payments experience for merchants and customers. In the palm of your hand, Carbon Mobile 5 enables checkout and the ability to run Android apps, like the point of sale, loyalty and inventory management. Carbon Mobile 5 supports integrations with existing systems and supports in-aisle sales, clienteling, and endless aisle solutions. With one simple device, Carbon Mobile 5 provides a powerful solution for SMBs who want to consolidate operations, CRM programs and payments. Built to last at the counter or on the go, Carbon 8 features multiple connectivity options to ensure uninterrupted business transactions. 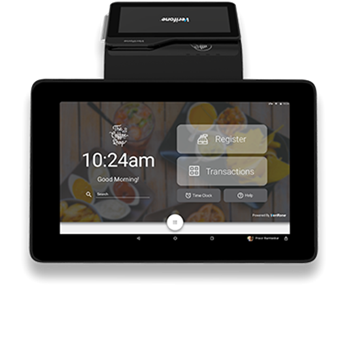 Carbon 8 is ready right out of the box for easy, intuitive setup, and access to Verifone's Marketplace and the tools to run your business better. Carbon 8 features an integrated design, with dual screens to manage businesses and elevate the customer experience. Carbon 10 is ready right out of the box for easy, intuitive setup, complete with the Merchant Marketplace offering tools to run your business better. 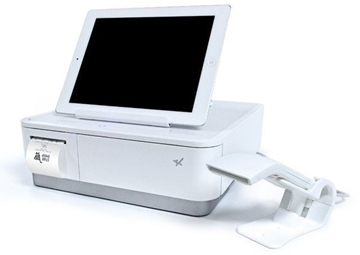 With countertop and portable use flexibility, you can service consumers where and how they prefer, while securely accepting the latest payment types. Because Carbon 10 is commerce-enabled, it allows for engagement beyond payment acceptance—creating seamless cross-selling and upselling opportunities. Supported by the PAXSTORE open software distribution platform, within which payment service providers create and manage their own independent app store marketplaces. 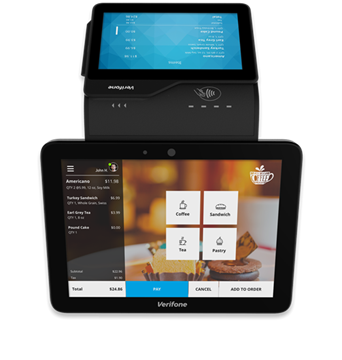 The A80 is a new generation terminal that functions as a countertop device, packed with the latest PCI PTS 5.x and NFC contactless certifications and powered by the Android 6.0 operating system. With a full range of communication options to choose from, including Wi-Fi, Dial and Ethernet, and an optional back-up battery, the A80 is always connected, ensuring peak performance during business hours. 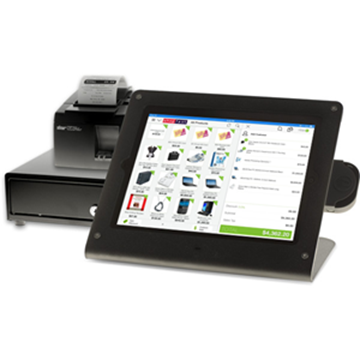 The A80 has a built-in camera and comes with a stunning high definition 4-inch touchscreen display which offers merchants and customers alike a graphical user interface way superior to traditional POS terminals. PAX E500 comes with ingenuity quality & solid performance, equipped with multiple peripherals ports, large paper roll, technologies of auto-brightness setting, magic SR and grease proofing enabling smooth touch of screen. PAX paid much attention to details for your satisfactions only.